Develop a Community of Best Practices.Improve Teaching. Do You Work with Teaching Videos? 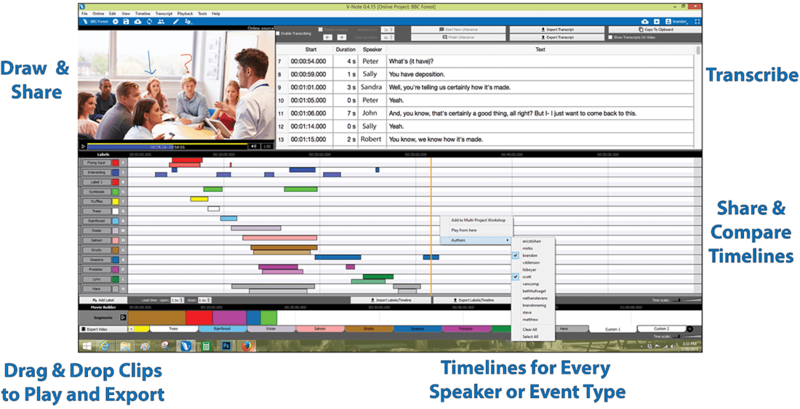 Need to analyze or annotate teaching videos? Want to review them together with the teacher in the video? 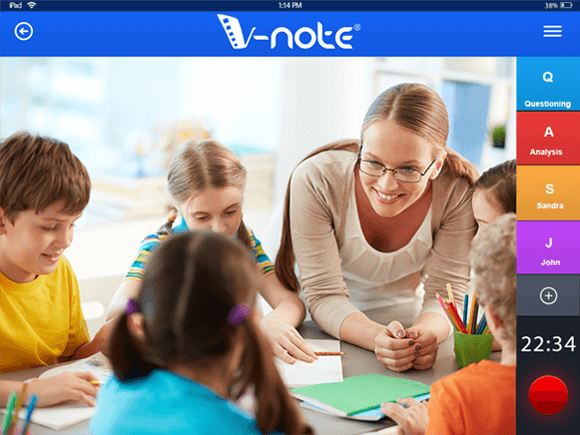 V-Note® makes it easy to note excellent teaching or analyze parts of a lesson needing improvement. Save time! With our iPad(R) app, you can label instances (also called coding video) and annotating parts of the video even while recording. Just press a few buttons to note important parts while recording, and voila: no need to watch the video again. Save Time. Code While Recording. 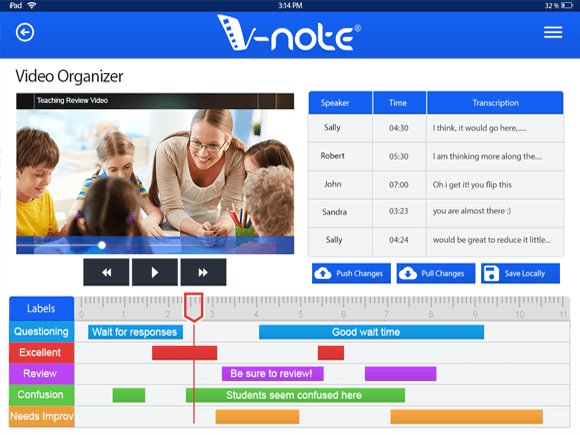 With V-Note iPad® Edition® your coding will be done once the teaching has been recorded! 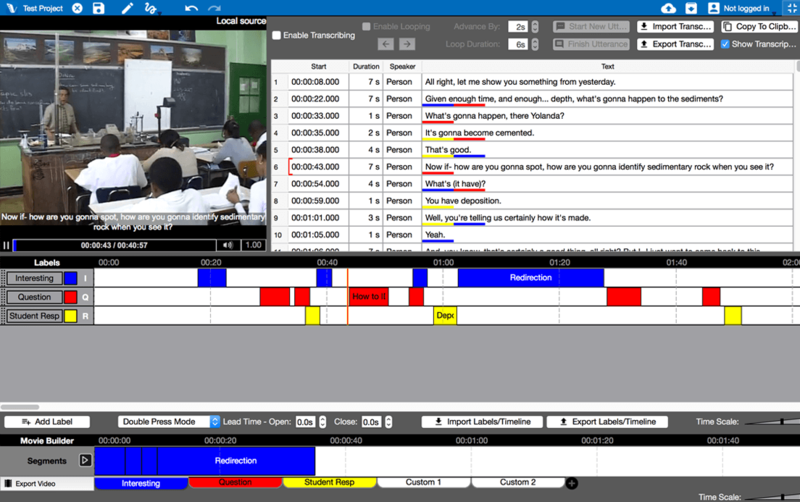 Those buttons you pressed while recoding will make labeled instances in your teaching video that you and your teachers or class can easily see on screen when played in V-Note. One quick look can reveal excellent teaching, where improvement is needed, and the context surrounding these areas. 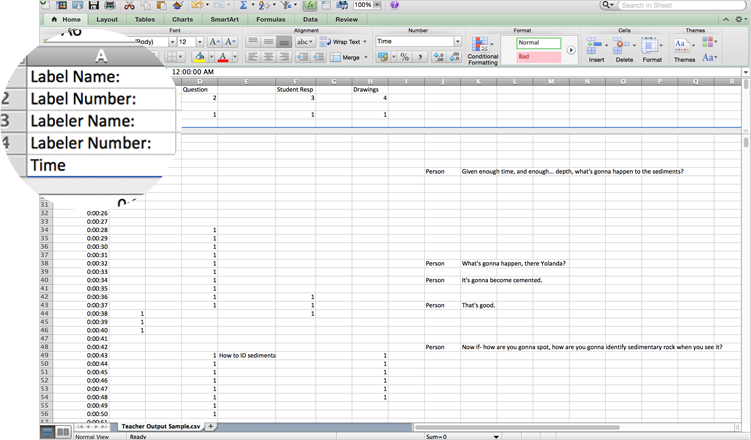 You can add even notes to each instance to provide further detail. Already Have Your Teaching Videos? If you already have your videos or prefer to record them with video camera, just open V-Note and drag in your video and begin coding and annotating. It’s easy! Where Do They See Good Teaching? Compare Notes. Have a particularly excellent teaching video? Have a video of a lesson that needs improvement? Get a discussion going about why! Share them and analyze them with others using V-Note®. 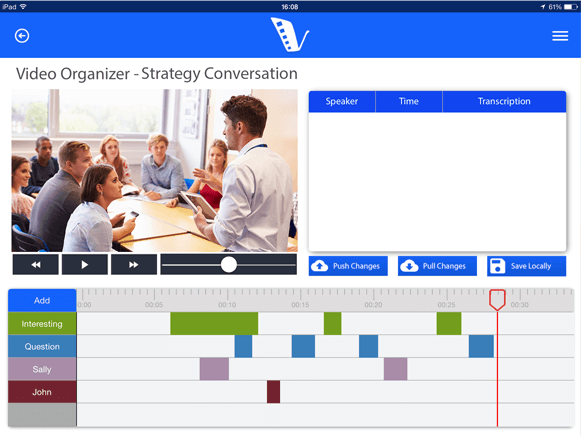 V-Note lets you easily share your teaching videos and analysis with your teachers or students. If you want, you can even invite them to analyze them to review and annotate the video blind (not seeing others’ video codes, markups, and annotations) for an unbiased approach. Combine Clips to Create New Videos of Excellent Teaching Examples Easily. Just Drag and Drop Clips. What do they see on a video? Compare notes. Find out. Using V-Note for teacher training? We'll cover your whole college of education - faculty and students - for only $1299.99 (includes 2 hours per user).